The institutional exchange underlines its forex approach to crypto trading with the addition of collateral. Institutional exchange, DRIVE Markets, today announced the addition of collateral based trading for Bitcoin, Litecoin, Bitcoin Cash, Ripple and Ethereum. “With the addition of collateral to DRIVE, traders can deposit Bitcoin and immediately trade physical Ripple against the US dollar without having to first trade Bitcoin for Ripple,” says Ade Onigbanjo, Director of Product at DRIVE Markets. For the majority of cryptocurrency exchanges, traders are restricted to trading the currencies in their wallet, forcing them to buy new currencies before they can trade them. “In real-time, DRIVE calculates the exchange rate between Bitcoin and Ripple and lets the trader place their Ripple USD trade. This provides a seamless and less costly experience for the trader and avoids them missing timely opportunities in the market,” states Onigbanjo. The Company, which recently launched derivatives trading with global leader, MetaTrader, also announced the addition of spot trading for the crypto ‘big five’ including Bitcoin, Ripple, Ethereum, Litecoin and Bitcoin Cash. 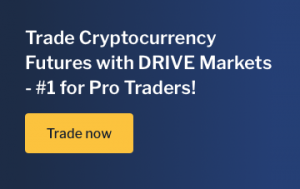 DRIVE Markets is guided by two principles for digital asset trading: provide infrastructure compatible with the global financial markets and list the products that our clients want to trade. For more information, visit www.drivemarkets.com/about-us and follow @DRIVEmarkets on Twitter and Telegram.